Financing & Leasing Options for Your Hemp Business. 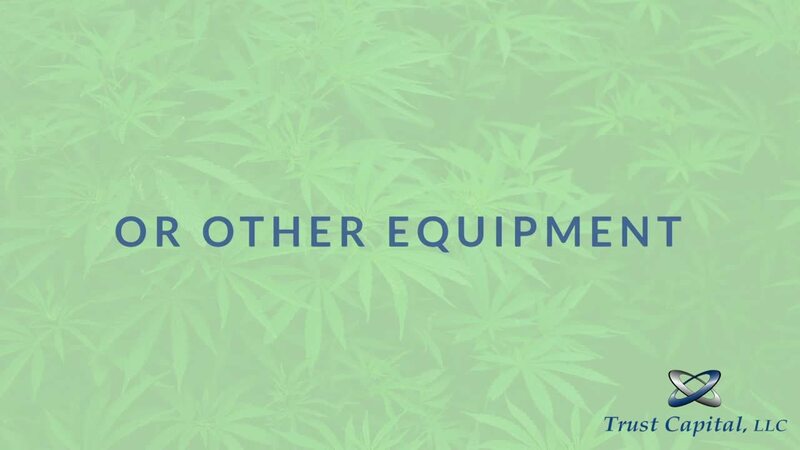 If you’re looking for the best equipment for hemp farming, extraction, or processing, you’ll find that Trust Capital is a reliable source for financing, with leasing for hemp equipment of all kinds. While you’re unlikely to get the financing you need from banks as they have yet to provide funding for hemp business owners, Trust Capital can give you everything you need to help maximize efficiency and profitability. Regardless of whether you’re a startup or a well-established business, we will be able to provide you with the top-quality equipment you need through dependable financing. We understand that your time is valuable and that the search for equipment can be a long and tedious process, which is why we use a simplified application process to help you get the financing you need when you need it. To help ensure you get the equipment financing you need, we offer several types of hemp equipment financing options. We offer terms up to 60 months, along with $1 buyouts, FMV operating leases, and equipment finance agreements, all of which are available at some of the best rates you’ll find anywhere. We have the ability to structure all hemp processing, farming, and extraction equipment financing agreements to avert the 280e tax code, which enables you to write off your payments to avoid counting them toward taxable income. Depending on what you need and certain factors, you’ll only need to pay between $9-30 on terms ranging between 12 to 60 months. We have utilized our years in business, experience with hemp equipment vendors, and resources to avoid hemp equipment vendors that are best to avoid. As a result, we have been able to identify and work with some of the best vendors in the industry, which means you won’t need to worry about getting low-quality equipment that would otherwise hinder your operations. Want the best financing solutions for hemp equipment? Trust Capital will be able to provide you with a list of local vendors with good reputations, and all you need to get started is to go to our Equipment Locator page and complete the form. If you want to get started with hemp equipment financing, contact us today and we’ll work with you to provide reliable financing for your business, whether you’re just starting out or simply want to improve a more well-established company.